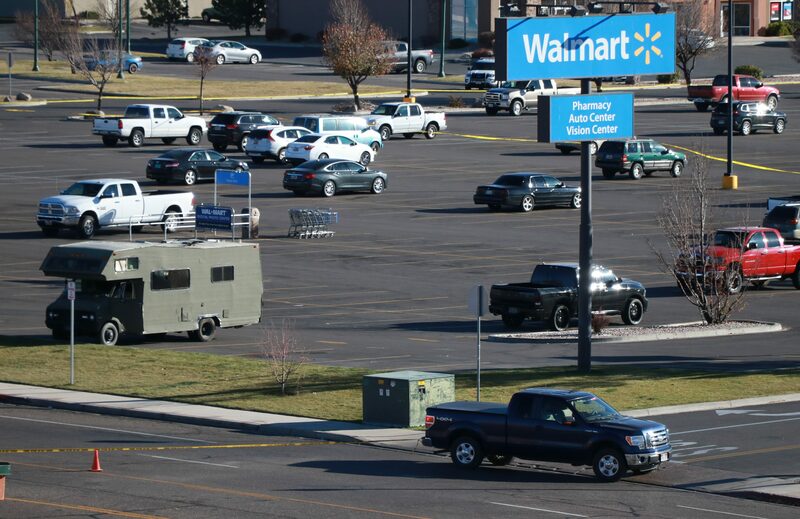 CEDAR CITY — Authorities didn’t find any explosives at the Cedar City Walmart Sunday afternoon after a possible bomb threat was reported. Cedar City Police responded to the incident at approximately 2:30 p.m. at the Walmart Supercenter at 1330 S. Providence Center Dr. after a store employee overheard an argument between a man reportedly suffering a mental health breakdown and his father, said Cedar City Police Sgt. Jerry Womack. The Walmart employee initially went out to the store parking lot as the two men were arguing near a green RV. “They overheard one of the parties say that there was a bomb in the RV,” Womack said. The employee informed Walmart management, who in turn called police. Responding emergency personnel evacuated the building and nearby stores, and police directed traffic away from the area. 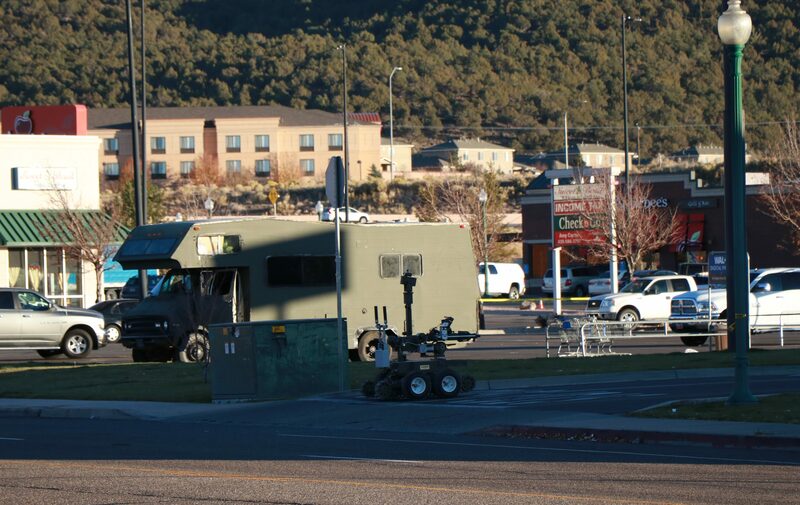 The area remained evacuated for approximately three hours until the St. George Police Department’s bomb squad cleared the incident after deploying robots to help examine the contents of the RV. Police detained the pair while the incident was investigated, but nobody will be charged, Womack said. Nobody was injured during the evacuation. Some evacuees were helped by the owner of a taxi company who offered free rides to and from the scene to those who couldn’t access their car in the cordoned parking lot. The incident’s multiagency response also included personnel from Utah Highway Patrol, Iron County Sheriff’s Office, Cedar City Fire Department and Gold Cross Ambulance. This report is based on information provided by law enforcement and may not contain the full scope of findings. St. George News Reporter Jeff Richards contributed to this report. The good news is that nothing was found, and the LEOs will log this as a realistic training exercise. Kudos to the WM employee for their “see/hear something, say something” response. Its to bad that robot can’t sniff out child molesters. That camper van looks pretty suspect! GO FALCONS!